Add mustard seeds, cumin seeds and a pinch of hing. Once the seeds start crackling, add chopped capsicums and cook it for 5 minutes. Add a little bit of water if you want to make gravy. Serve with parathas or phulka. 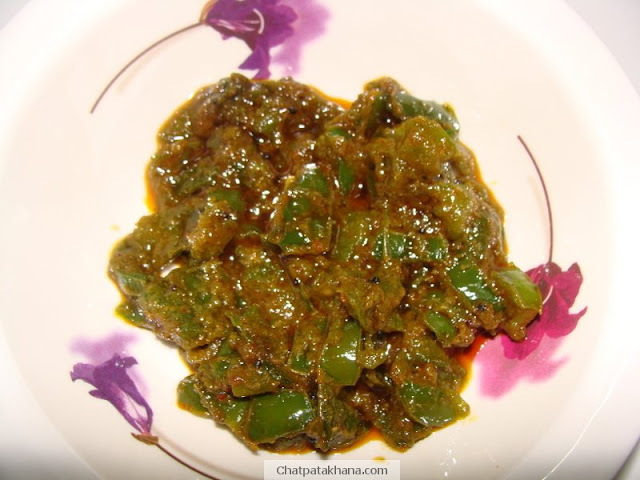 Tip:This curry can be eaten as a pickle also.